Product prices and availability are accurate as of 2019-04-14 09:48:10 EDT and are subject to change. Any price and availability information displayed on http://www.amazon.com/ at the time of purchase will apply to the purchase of this product. 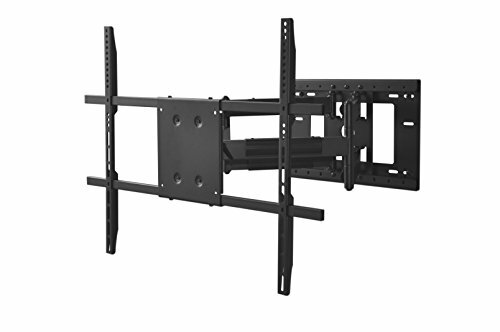 THE MOUNT STORE offers this heavy duty dual arm cantilever wall mount to fit most 40-75" TVs. Easily mounting your TV to a wall will save valuable space from the top of furniture and provide theater-like viewing from any area in your home. The solid high-grade cold rolled steel construction of this wall bracket allows you to install your TV with durability and confidence. The maximum extension from the wall is 37 inches. The maximum weight capacity is 200 lbs. Optimize your viewing experience with flexibility of smooth articulation making it easy to find the best viewing angle and reduce glare from lights or windows. 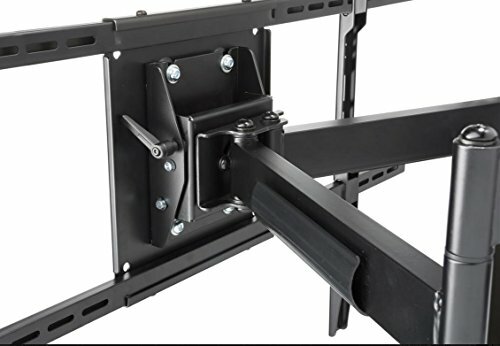 This bracket is engineered with Adjustable Tilt of 15 degrees, Swivel of 90 degrees left or 90 degrees right on displays of 65 inches or less. Displays greater than 65 inches will have reduced swivel capability, accordingly. 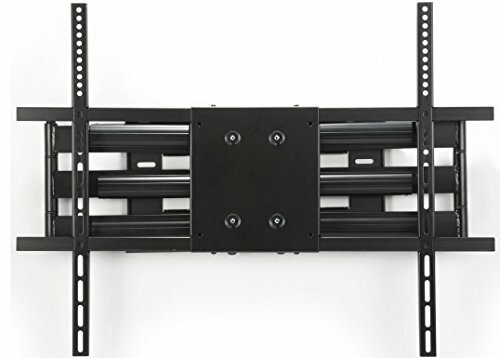 The heavy duty arm, with built-in cable management covers, can easily be pulled out from the wall to accommodate your viewing preference and easily returned to its home position at a depth of 4.5 inches from the wall. For installation on uneven walls, the brackets dual wall plate design can shift 6 inches left or right of center. 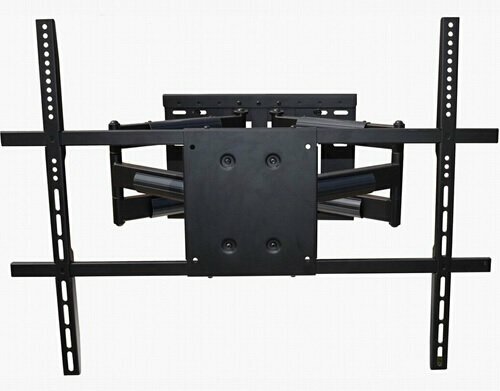 This sturdy bracket also fits most TV displays of 40-75 inches with VESA patterns of 200x200mm to 800x600mm. NOTE: This does not fit 200x300mm on some Sony or LG models.